She was very kind and addressed my concerns thoroughly. She takes all questions seriously and professionally. If I everneed to see a cardiologist again, I would choose to go back to her. She was very kind and addressed my concerns thoroughly. She takes all questions seriously and professionally. If I ever need to see a cardiologist again, I would choose to go backto her. I am always nervous meeting a new doctor the first time, as soon as Dr. Linda came in the room.I feltat ease. Her personality came through as a caring dr without knowing her. She asked me how I was feeling and what brings me to the doctor. I explained my concerns and she listened and never interrupted me while I was talking. She explained things about my concerns that were easy to understand. Thank you dr Linda for not making me nervous. I am always nervous meeting a new doctor the first time, as soon as Dr. Linda came in the room.I felt at ease. Her personality came through as a caring drwithout knowing her. She asked me how I was feeling and what brings me to the doctor. I explained my concerns and she listened and never interrupted me while I was talking. She explained things about my concerns that were easy to understand. Thank you dr Linda for not making me nervous. Dr. Linda Cuomo is a dedicated and caring cardiologist based in Middletown, Newburgh, and Monroe, NY. Dr. Cuomo earned her medical degree from the State University of New York, Buffalo. She completed her internship and residency in internal medicine at NewYork-Presbyterian Hospital / Weill Cornell Medical Center. She then completed a fellowship in cardiology at the same institute. Dr. Cuomo is a part of Crystal Run Healthcare. She is certified by the American Board of Internal Medicine. Her clinical interests include interventional cardiology, general cardiology, and women and cardiovascular disease. 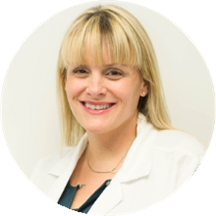 Dr. Cuomo is devoted to ensuring the longevity of her patients’ health and developing long-lasting relationships with them. She takes her time to understand symptoms and give correct diagnoses to ensure the continued health of all her patients. Dr.cuomo was very professional, & friendly. explained how she was going to approach my situation. Which made me very comfortable. Dr. Cuomo and her staff were incredibly accomodating and friendly.